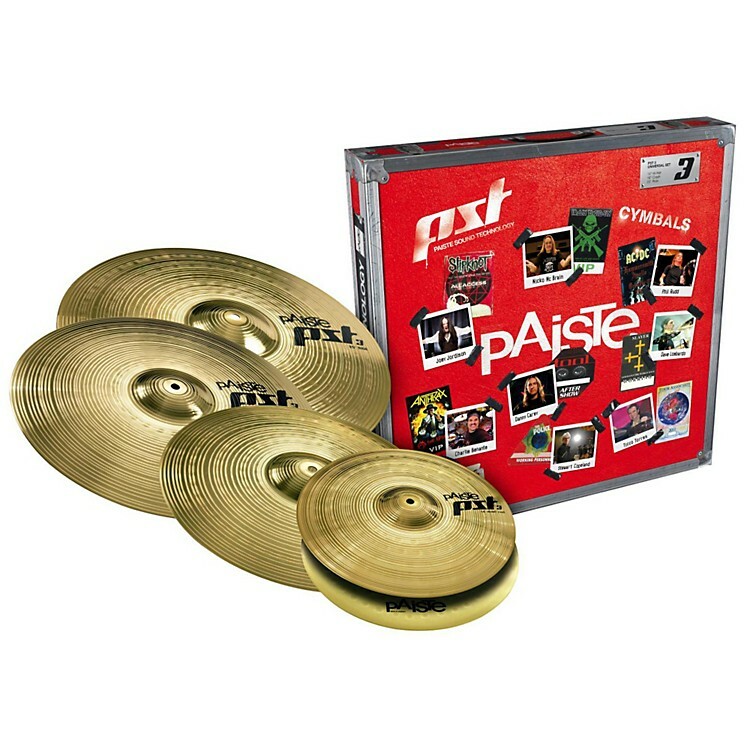 Paiste PST 3 Limited Edition Universal Cymbal Set with Free 18" Crash 14, 16, 18 and 20 in. A set of affordable cymbals with never-before-possible sound quality and pro-level looks. Paiste PST 3 cymbals employ modern, hi-tech production techniques that transfer the spirit and essence of 70 years of hand-manufacturing into premium-quality, musical cymbals. A fusion of Swiss cymbal sound know-how with German hi-tech expertise, these PST cymbals represent a breakthrough combination of quality and value. This PST 3 set produces bright, clean and powerful tone with musical characteristics. Includes 14" hi-hats, 16" crash and a 20" ride. Also includes a free 18" crash.